Radiography (X-rays) and ultrasound have the ability to “look through” tissues. These make great diagnostic aids for many parts of the body, and often a definitive diagnosis is only possible when using one of these imaging techniques. 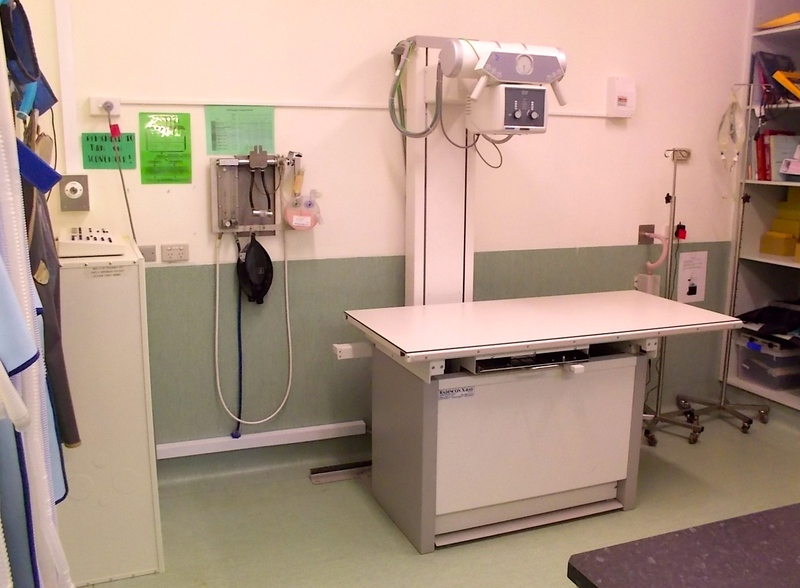 X-rays give us a 2-dimensional view of a specific part of an animal’s body, and are particularly good for imaging bones, outlines of soft tissue structures, and air-filled spaces (such as lungs). 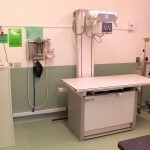 We would routinely take X-rays of an animal with chest and abdominal problems, and in certain lamenesses to confirm or rule out fractures and bone malalignments. Sometimes there may not be a fracture as such, but by taking X-rays, we can see that bones may be out of position due to ligament injuries. 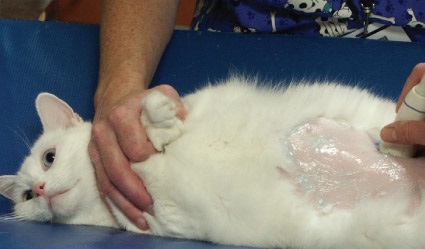 Ultrasound has advantages and disadvantages over X-rays depending on the situation. 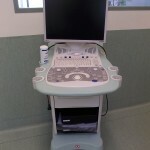 An ultrasound machine can produce cross-sectional pictures of organs (x-rays would only show the outline of the organ). This is particularly useful for visualising the inside of the urinary bladder, gall bladder, blood vessels, heart, liver, kidneys and the list goes on. Ultrasound can also be used in “real time” – that is, we can view the organs at that exact time. With this, we can watch the heart expand and contract, look at movement of the gastrointestinal tract and much more.